Window V Boards now available: These boards are attached to windows using suckers and are ideal for situations where a normal flag type board is not possible, such as blocks of flats, and terraced houses. We also supply the ancillary items such as nylon nuts and bolts, and Posts. We also produce signage for shops. With 50 years’ experience as sign makers and screen-printers, we have the technology and experience to provide for our customers a complete service from design process through to manufacture. 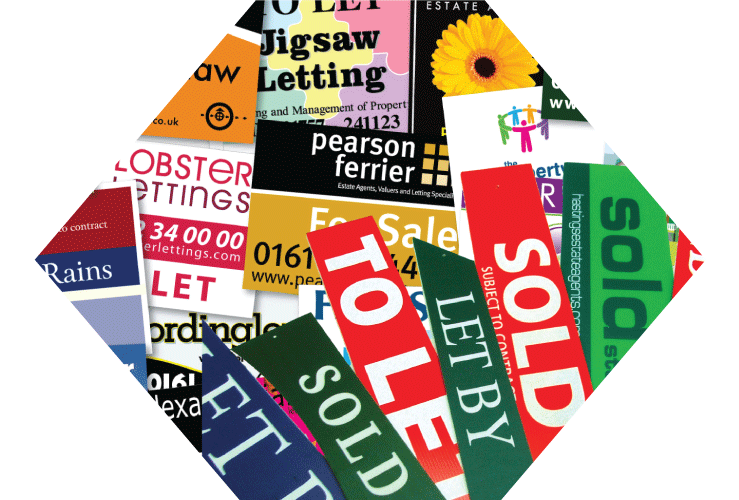 Our dedicated team ensure that you will be delighted with not only the quality of your signs, but the speed with which we can deliver them to you. Please speak with one of our friendly advisors, who are always happy to help. And remember, Humphreys Signs Ltd operate a “no pressure” sales policy so there is no hard sell – just good advice, great prices, and quality and reliability of service that you will find hard to beat. 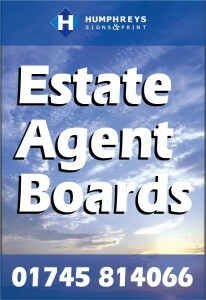 To view a gallery of a selection of Estate Agent Boards that we have produced, click here.